Despite this planned trip to Japan technically being a holiday, I was strong-armed by the guys at Flat-Out Magazine to pack some of my kit and go on in search of an elusive Japanese custom bike scene. The decision came about after shooting Leon’s awesome Honda CX500 for the recent Goodbye Winter Blues feature and, while standing in a bitter New Forest, I started to appreciate the effort and resulting beauty of something that’s bolted together in a shed. “It’ll be easy,” exclaimed Leon. “Just have a look on Facebook and make a connection with someone who looks interesting. That’s basically all that I do and I’ve managed for a decade,” he went on. It turns out it’s not quite that simple, but thankfully I stumbled across a Japanese bike builder, who was based in Hiroshima, after some extensive Google and Facebook research. 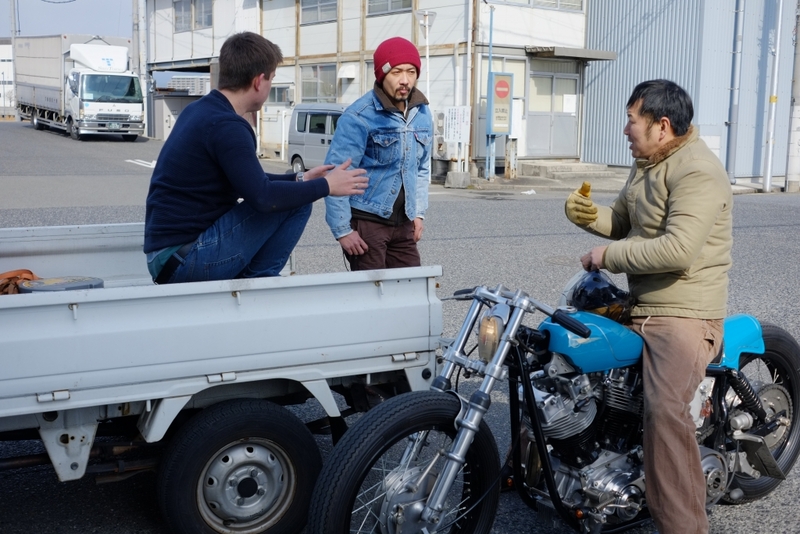 Kengo would be my introduction to the Japanese custom bike scene and he was happy for me to shoot this brave new world. Unfortunately, Hiroshima would be an unplanned detour from my scheduled vacation route, while travelling companion Rohan Hande’s Indian passport meant visa restrictions were tighter than usual, so we had to be more vigilant and organised. But we would get by and I was determined to take enough kit to give whatever subjects I managed to organise the coverage they deserved. Just a warning, I’m a photographer by trade, so this information is for the snappers and budding photogs out there. I fear non-lensmen and women may start to nod off about now. 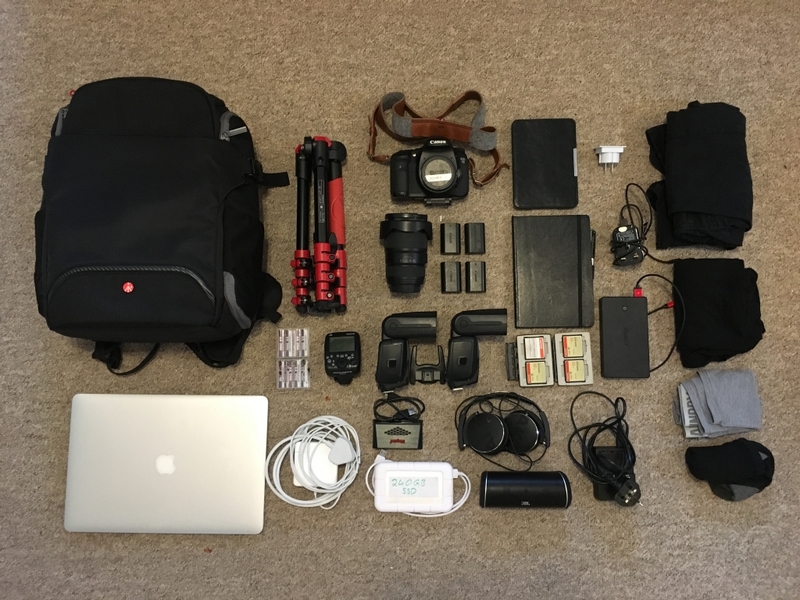 Lugging a full frame Canon 1DX and lighting around Japan wasn’t going to be much fun, so instead I opted to take my backup kit, which includes a Canon 7D MK1, EF 16-35mm F4L IS lens and a couple of speed lights and triggers. The stuff is still more than capable of getting the job done but with the added advantage that anything damaged or nicked wouldn’t leave me high and dry when I got home and needed to earn some money. I have zero confidence in airline baggage handlers, so I made sure everything fitted into a small Manfrotto backpack with a change of clothes incase my checked bag got delayed or lost. Attempting to organise the actual shoots wasn’t quite as easy as sorting out my bags and this was partly down to the language barrier but mainly because the idea for the feature came so late. I was lucky that Kengo and the Heiwa MC who got straight back to me with a ‘yes’, many other emails went unanswered and those who got back to me were so leisurely in responding that it was often too late by the time they actually agreed. Things are just done differently in Japan and this needs to be factored early into the planning process. In the end, I nailed down two shoots, which was my goal. 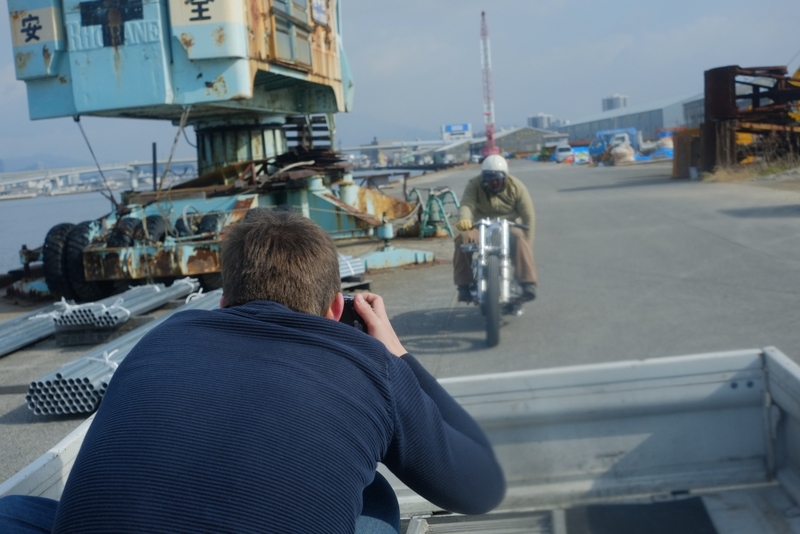 Once on location there were still a few obstacles to overcome, starting with persuading a taxi driver to take me to a quiet warehouse district well off the usual tourist route, while being completely illiterate in Japanese. Only just overcome with liberal use of Google maps, pointing and vigorous nodding. Once arrived, I had to orchestrate the whole shoot through translation apps on my phone and rambling away in English with hand gestures. No doubt as comical to watch as it was to attempt. The key, I found was to be cheerful and go with the flow. Some things are easier to explain than others and if it gets lost in translation, it’s often better to move onto something else rather than get frustrated. But this was half the fun of it all. I always say I won’t work on holiday but drawing a line between work and pleasure is pretty hard when your career is also your passion. 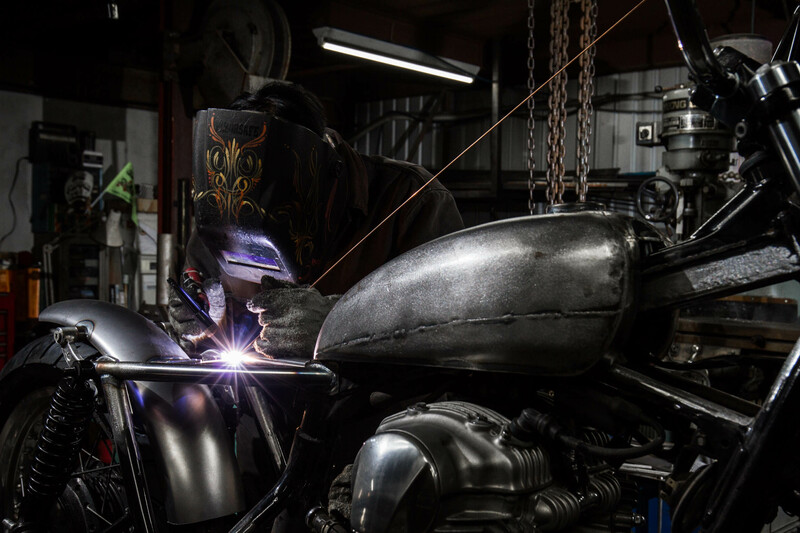 So stay tuned for the first part of this trilogy, where I meet Kengo in his dimly lit workshop, shoot his bike and find out more about the custom scene in Japan.